Just one teeny tiny sniff, please? Cat says no, never ever Trevor. Posted on January 9, 2014, in Uncategorized and tagged Children, Dogs, Doodlemum, Drawing, Family, Humour, Illustration, Life, Pen and Ink, Sketchbook. Bookmark the permalink. 7 Comments. 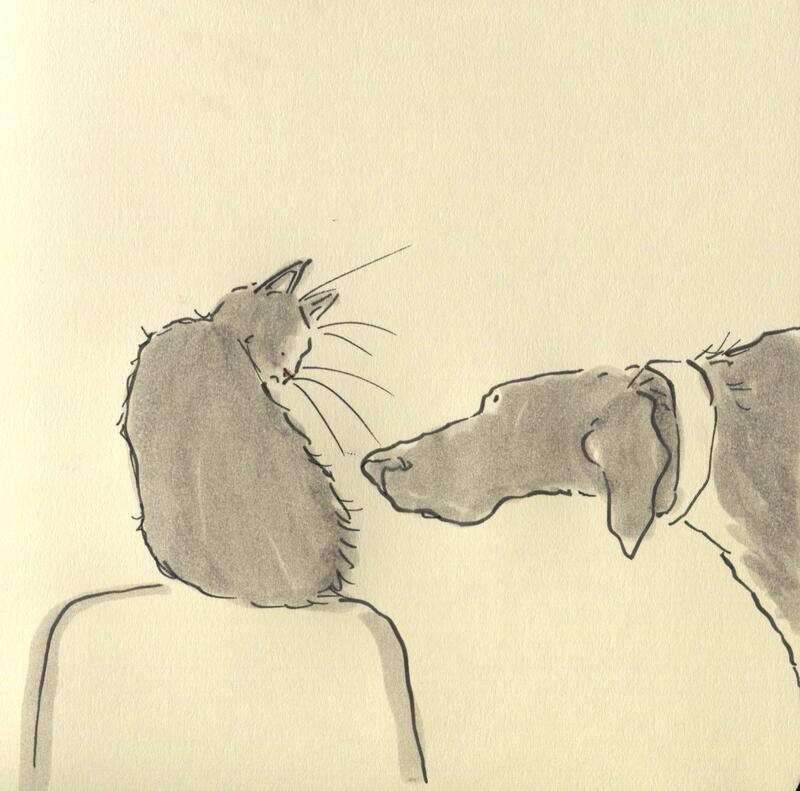 Is Bonnie a lurcher, or deerhound perhaps? Your sketches are a grand daily commentary on life as it really is. Thank you! I see Arnie is ‘top’ animal, usual for the feline ;-]. Oh Trevor, careful of your nose, cats do very sneaky whapping if they think you are not listening. Adorable, this picture sums up my cat and dog’s relationship perfectly! Cats do not tolerate interspecies sniffing.